Sending subscribers a birthday email, whether it’s during their birthday month or on the actual day, is a great way to bring personalization to the email program. Plus, according to research from Mapp Digital, subscribers expect to receive these types of messages. Fully two thirds (67 percent) of people surveyed indicated they expect companies to personalize emails based on their birthday. The rest of this article can be viewed on Target Marketing. Alexandra has been helping world class brands grow and optimize their email marketing strategies and initiatives for over a decade. 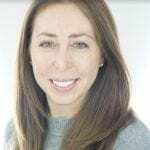 As an Email Strategist for Return Path, Alexandra uses her passion for analytical and creative thinking to help marketers refine their email programs, resulting in more emails getting delivered to the inbox, improved subscriber engagement, and increased ROI.